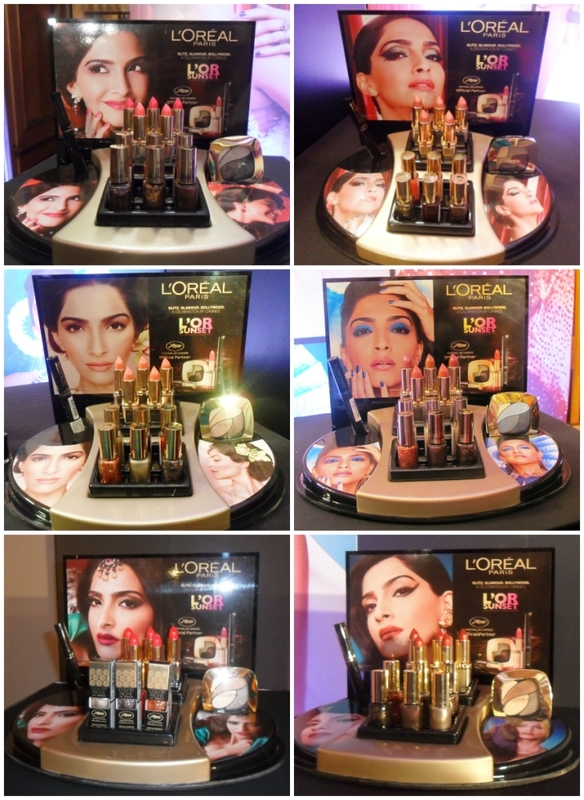 Last week, L'Oréal Paris invited me for their Cannes Press Conference to meet Sonam Kapoor as she unveiled L'OR SUNSET - their collection for the Cannes Film Festival paying tribute to Bollywood and homage to the beauty of cinema. 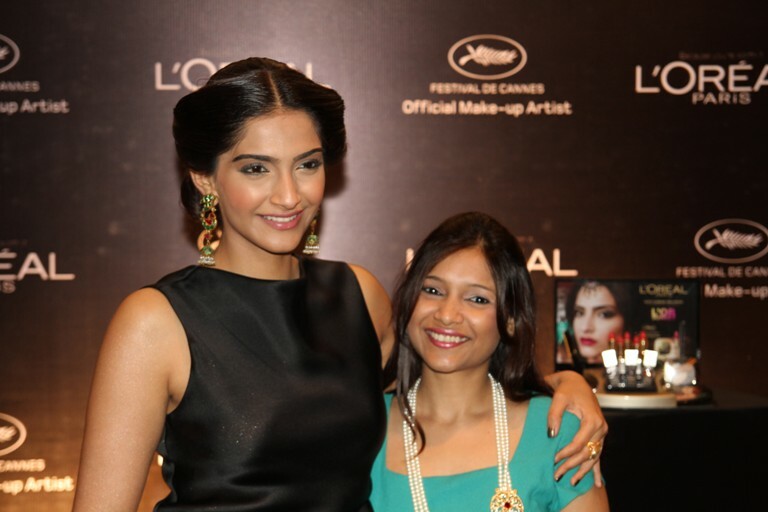 Manashi Guha, Marketing Manager, L'Oréal Paris announced Namrata Soni as their new Beauty Expert who has created 6 Bollywood inspired make-up looks keeping in mind the 100 years of Indian Cinema, out of which Sonam will be wearing 2 at the Cannes this year. 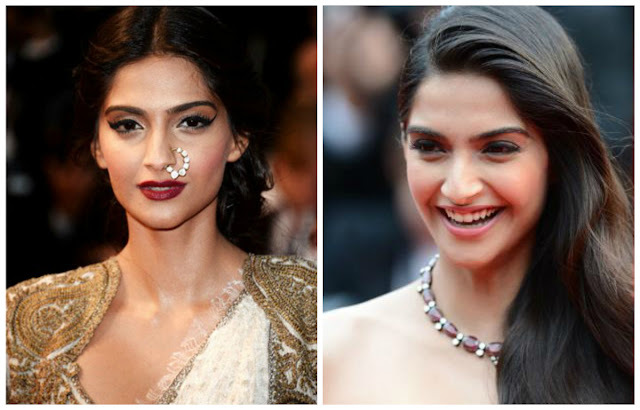 These looks are inspired by the various eras of Bollywood. The L’Or Sunset collection features a palette of colours that celebrates the shadows and lights of the most glamorous sunsets. The collection is versatile and I personally got a chance to check out the entire collection at the conference while Namrata showed us two simple looks and gave us tips. The new L'Or Sunset Collection takes drama to the next level as it filled with colours that satisfy ever person's wants. They have bright pop colours, subtle colours and dark colours thus allowing one to create en-number of looks with one collection. For summer this is going to be my go-to collection. Their range of products is vast and the sparkle nail paints add the Oomph to the collection! Sonam Kapoor is a fashion icon in our country. I love her eclectic sense of style and the confidence with which she carries herself. The conference proved that in person to me too! She wore a gorgeous Armani Privé dress with to-die-for Sunita Kapoor earrings. 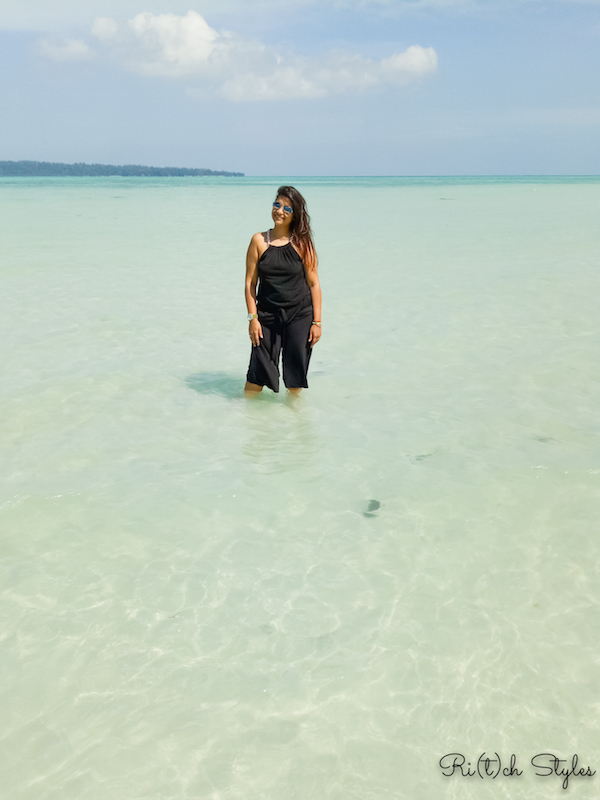 Namrata Soni, I would say is like a magician who uses her magic wand which are her swift fingers and transforms women into gorgeous beauties in no time. 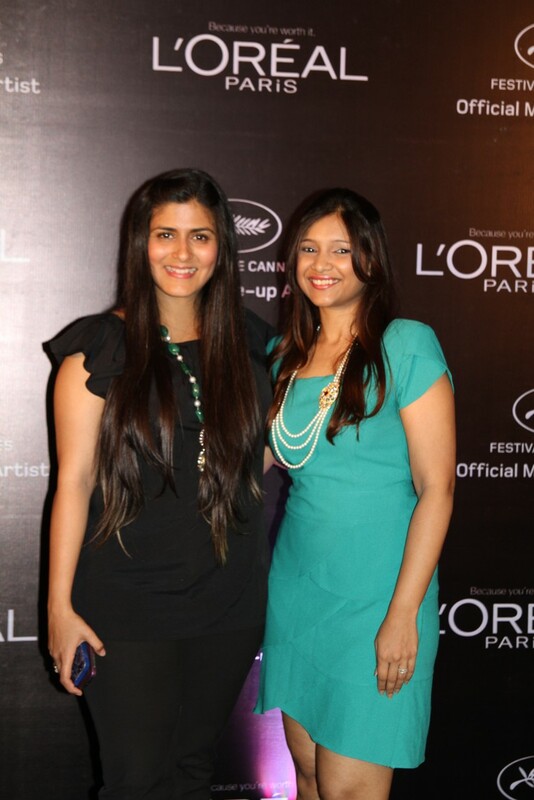 She is one lady to watch out for on the Indian make-up scene. Check out the how she lovely Sonam is looking at Cannes in the looks she sported on the first two red carpet evenings - One Dramatic and One Subtle and Pretty! Love that dress. We had fun that day. How are the lil ones doing? Wow stunning pictures and you look so beautiful in that outfit !This must have been so exciting meeting Sonam in person...she's a gorgeous lady and Diva in true sense of the word!